The University of Tasmania, along with the Commonwealth and Tasmanian governments, is embarking on a project which will underpin a vision for the state as a leader in the digital, creative and performing arts. 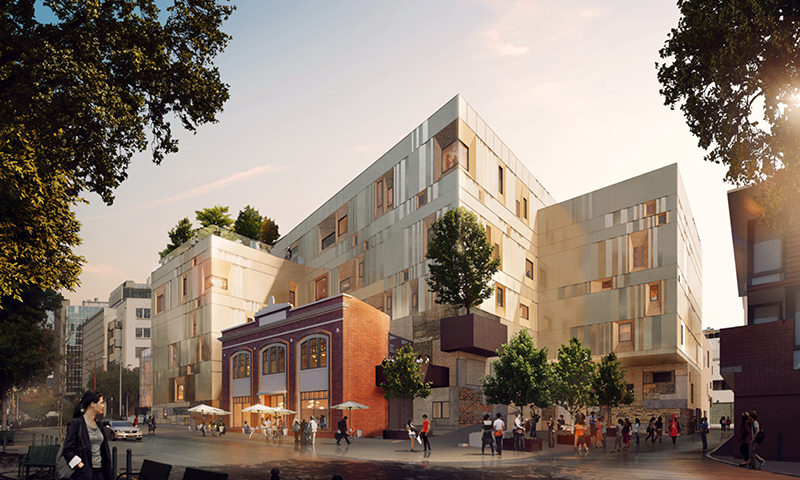 This vision includes the construction of a major creative industries and performing arts development, 'The Hedberg', adjoining Hobart's historic Theatre Royal on the 'Wapping 4' site. The $96 million project will comprise improvements to the Theatre Royal, and a new University Conservatorium of Music; it will include new performance venues, public spaces and an international research institute. The project is due to be completed in 2020. The project is currently under construction, with the ground floor slab now complete. Prior to construction beginning, Principal Design Consultant, Liminal Architecture, worked closely with the University, the State Government and the Theatre Royal to finalise the detailed design and bring the vision for The Hedberg to life. On 1 February 2016, the University of Tasmania entered into a Development Agreement with the Tasmanian Government and the Theatre Royal Management Board which set out the requirements necessary to progress the project. The project reached a major milestone in October 2016, with site establishment works commencing on site, immediately prior to the commencement of stage 1 construction works. This marked the beginning of an ambitious two year building program, set to be completed in early 2019. It also marked the resumption of on-site activity following a necessary twelve month interval (a package of early works was carried out in the latter stages of 2015 to inform the detailed design work carried out over the past twelve months). The notorious Shakespeare tavern revealed! Parry Kostoglou led the archaeology at the building site, uncovering what was Hobart's most notorious venue.